Greetings! I've decided to start a series about non-clothing things that I either came across, rediscovered, or was on a kick with in March (or whatever respective month it may be). So much of blogging has everything to do with the niche topic, but I also think blogs rarely work without getting to know the personality behind the blog. For the time being I've ceased doing Weekend Fashion-which served as a glimpse into how I picked my clothes to wear as well as a glimpse into my lifestyle. I'm guessing I'll bring it back on occasion throughout the summer, but for now I'm excited to talk about my monthly love affairs! I started reading this boss while on vacation and finished it when I returned. 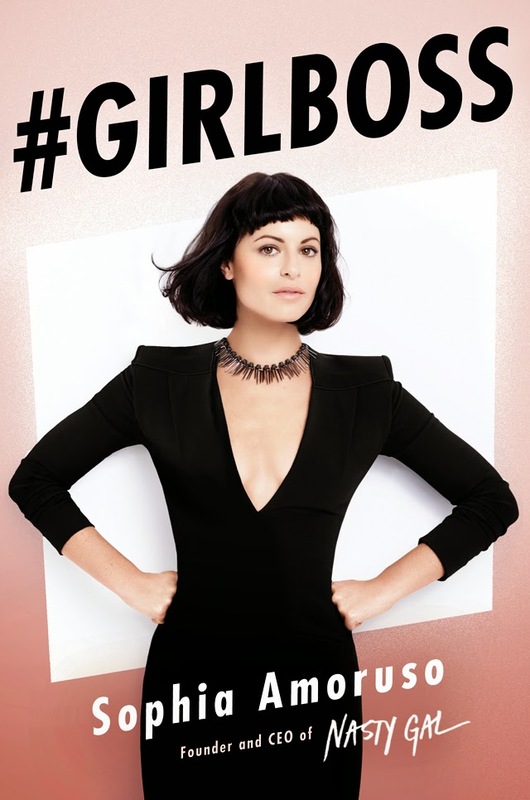 For those who don't know, it's about the Nasty Gal clothing company's founder, Sophia Amoruso. She wrote this autobiography as a part memoir and part insight into her unique life's perspective and how that helped her find the amazing success that she has had. I have to admit that I have yet to shop at Nasty Gal, but I really loved this book. I had limited expectations when I first picked it up, not being convinced it wasn't going to be a heard it all before "girl power" type book, but I found her wording and attitude to be unique and refreshing. Any girl who's into online shopping and clothing should totally read this, as well as any girl who needs to realize how to find their self worth. I already don't care too much about what others think of me, but after reading #girlboss I have to say I care even less!! I have watched this show before, but have been re-watching the show this month. I'm the type of personality to always be re-watching some show out there that I love. It's partially because I love TV. I don't really like movies because an hour and a half with characters just doesn't cut it for me. The character arch and plot lines over the sometimes hundreds of hours in a TV series makes things so relatable so I understand the analogies that people use about TV characters being like your friends. I tend to watch TV to fall asleep and-depending on the morning-to wake up so sometimes a show I'm already familiar with is ideal which is why I also tend to be re-watching a show. 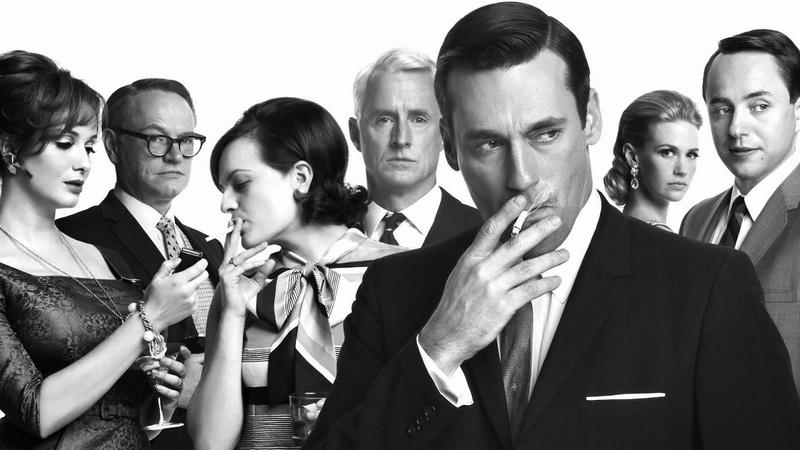 Mad Men is the perfect show to re-watch because there's so many subtle aspects of the show that it's impossible to catch them all the first time, especially as you're familiarizing yourself with the characters of the show. I have definitely gotten a kick out of some of the more below the radar jokes and comments this time around. Since the last time I started this show on a Netflix binge I've become way more entrenched with mid-century fashion, so it's also been a pleasure watching the show with a more keen eye for the names of different dress styles. There's so many vintage reproduction dresses that I've seen on ModCloth that have certain asymmetrical buttons or bows on the waist that look a lot like the dresses I've seen Peggy Olson wear. Some mid-century reproduction dresses are obvious, like wiggle and circle dresses, but to see the fine details of various necklines and added bows helps put a lot more mid-century inspired frocks in perspective. This is one of my long time favorite bands. But earlier this month I learned that they are coming to Denver this spring and I am FINALLY going to get to see them play live! Naturally I've been listening to them quite a bit in anticipation of their arrival. For those unfamiliar with the band, they came about in the 80s and kept going through the 90s. They are kind of punk, kind of noise rock, helped inspire grunge, and are totally awesome! In the past when I've been on a kick with them it's a safe assumption that I'm also listening heavily to Sonic Youth, REM, Pixies, Black Rebel Motorcycle Club, and the Violent Femmes. If you don't know them-check them out! I'd recommend "Just Like Honey", "Head On," and anything off the Stoned and Dethroned album to start. 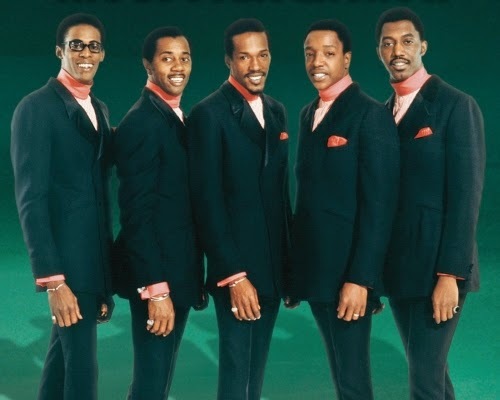 Somewhat on the polar opposite end of the music spectrum, I've also been mildly to totally obsessed with The Temptations. I'm a life long fan of Motown thanks to my dad's influence, but after he passed I couldn't really ever listen to some of their songs again. I DVRed their miniseries earlier this year and watched it on an insomnia kick...and then about another dozen times since! While there are some factual errors with the miniseries (and trust me, I've Googled them and more), this movie single handedly rejuvenated my love for the Temptations and added a deeper affection for them than I had even before my father passed away. I could go on and on about my new found obsession with them, but I'll save that for my music blog...when I update that someday! For now, "Ain't Too Proud to Beg" has always been my favorite of theirs (David Ruffin, the lead vocalist on there, is my favorite voice of all times so that helps) but I've been listening to a lot of "The Way You Do The Things You Do" and "Ball of Confusion" on repeat pretty consistently, as well as some of their lesser known tracks. I like this new section of your blog! It's a really fun idea! I'm really interested in reading #Girlboss, now. And I really need to finish my Mad Men binge watching. Haha. Thank-you! #Girlboss is great! Have you caught up with Mad Men? I literally watched the last season just in time for the final season premier!